Walk door frames & lean-tos can be installed on the left or right side. Doors not included. Actual frame length is 20'2"
If permitting is required by your city/county, call VersaTube for additional information. Frame kit is packed & shipped out of our Tennessee or Arizona factory. Sheet metal package delivers factory direct. Frontier Series DIY garage kit features vertical sheet metal roof panels with horizontal siding panels. And with the added roof coverage from the continuous slope lean-to on the side, you get even more storage and shelter space for frequently-used items or equipment. 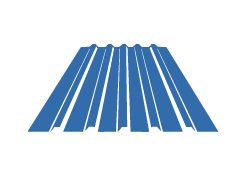 We use 2" x 3" heavy duty galvanized American steel tubing that beats the non-galvanized imported steel. We use a triple layer of corrosion protection that is rust resistant and provides a smooth product unmatched in strength and durability. 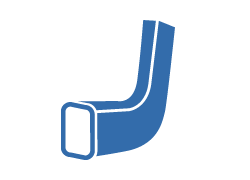 We use a proprietary mandrel bending system for a cleaner look and a stronger bend transition. No crush bending is used. We use 29 gauge sheet metal panels made in America with a standard 5-rib profile and 36" width. Our frames are made with quality materials backed by the VersaTube Product Pledge and a 20-year frame warranty. Made in TN & AZ. Shipped Everywhere. We manufacture all DIY kits in Tennessee and Arizona and ship them all over the USA. 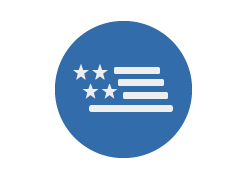 We're proud to support American workers and our local economies. We ship the frame, sheet metal, screws, trim, and instructions in one complete DIY kit. Our patented pre-cut easy-to-handle Slip-Fit Connections reduce assembly time. No insert tubes and extra screws are required. 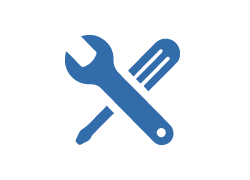 Our DIY kits can be assembled with common household tools and do not require the renting of special tools or equipment. Our DIY kits can be anchored to almost any level surface – from ground, gravel, asphalt or boat docks to concrete slab, footings, curb sections or piers to on top of stem or retaining walls to raise the structure. Choose ground or concrete anchors at checkout. What is the warranty for your structures? 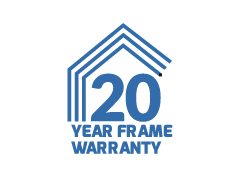 20-year limited frame warranty against any structural defects. 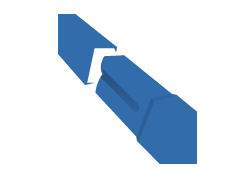 We’ll replace or repair any component part that does not perform to customer expectations. 20-year limited paint finish warranty provided by most sheet metal suppliers. The completed frame structure with sheet metal and trim must be erected within thirty (30) days of the date of delivery to retain warranty eligibility. Click here (link) to download the Warranty & Product Pledge. Yes, free premium shipping is included with all building and carport kits purchased online. How will this kit be delivered? 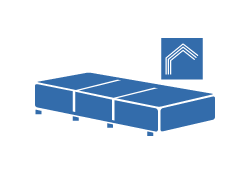 Most covered pallet kits or frame bundles will deliver on a flatbed truck with attached forklift for easy curbside offloading by the driver. If flatbed with forklift delivery is unavailable in your area, then LTL freight truck delivery will be used. LTL curbside delivery requires you to have a means to unload, either a forklift (or equivalent). Smaller pallets or bundle wrap components can be hand unloaded. The LTL driver will not hand unload your order. All components are typically easy to manage, and for two able-bodied people, a shipment can be unloaded in a short amount of time. You will be contacted 24-48 hours prior to your scheduled delivery. As another option, you may also request your shipment held at the local freight terminal for your pickup. 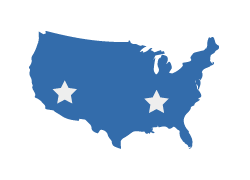 Sales tax must be collected on purchases that deliver to the states of Tennessee, Arizona and Idaho. How are your structures anchored to the ground or concrete? Ground anchoring requires VersaTube rebar anchors centered in post holes and backfilled with concrete. 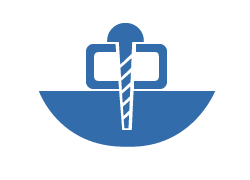 Anchoring to a concrete slab or concrete footing requires concrete wedge anchor bolts. Anchors are provided with each building and carport kit. You will make your selection prior to checkout. How long does it take to assembly a building kit? 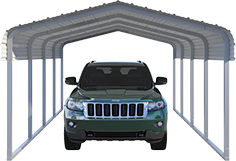 With the assistance of friends and family members, most carport units can be assembled in one day – two days at the most (for larger carports). For smaller buildings and garages, once your site preparation is completed, you should be able to install the frame in one day and the sheet metal the next day. Larger buildings and garages may require more days depending on the available help you have, cooperating weather, and your own personal schedule. 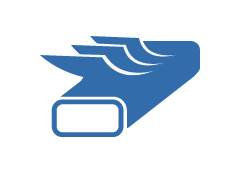 Do you offer additional truss bracing or sheet metal gauges? Additional interior truss bracing and 26 gauge sheet metal are available options if you are building in a higher snow load and/or wind load area and local code requirements must be achieved. Call a VersaTube Sales Engineer (1-800-810-2993) with your load requirements and questions. Do you offer additional sizing and configurations? Absolutely! 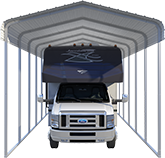 Our most popular standard buildings and carports are available here online. But if you have a need for a special size or custom configuration, our Sales Engineers are ready to work with you to design an engineered DIY solution that meets your snow/wind load and local code requirements. Call 1-800-810-2993 and let us help you! Can VersaTube structures be modified at a later date? Our Slip-Fit frame connection design will allow you to easily add additional length to your existing structure by adding base rails and truss sections. Once your building or carport is assembled with sheet metal roof and siding panels installed, it may be a bit of a challenge to modify the width and the height of your unit. These are photos of Frontier Garage style structures shared with us by the VersaTube community. 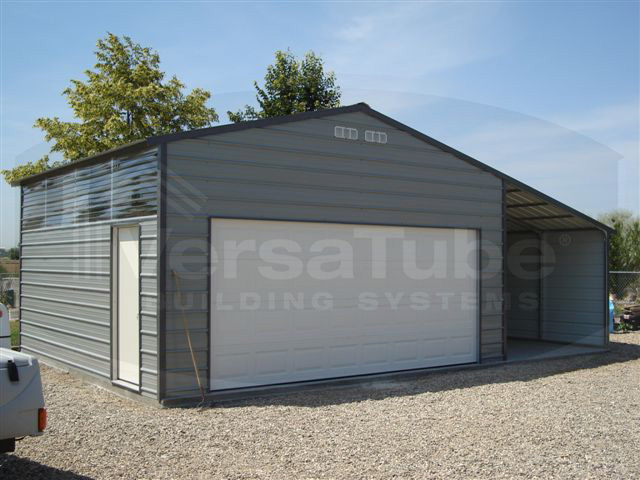 Customization of Frontier Garage structures is available through the VersaTube design studio. 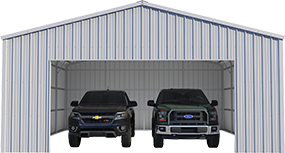 To design a custom Frontier Garage structure visit the Design Your Own Garage / Building page or call 800-810-2993.